According to a new study out of Clemson University, minimum wage is directly related to criminal recidivism. This is further support of the fact that without the ability for those who have served their time to move on, obtain employment, and earn a decent wage they are more likely to end up back in prison. The research conducted by Clemson University Economics Professors Michael Makowsky and Amanda Agan specifically found that a higher minimum wage and earned income tax credits (EITC) make the difference between recently-released prisoners returning to prison or being able to make a living outside of crime. In fact, there was a direct ratio between every dollar increase in minimum wage and the percentage point regarding the numbers of those who returned to prison. This was reportedly even more significant for women, in particular in states where earned income tax credit wage subsidies were available. 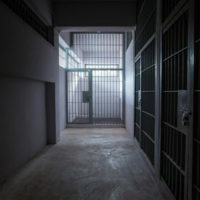 According to the National Corrections Reporting Program database, approximately 600,000 people are released from prison each year, with approximately 17 percent returning to prison within one year and 35 percent returning within three years. It is the stigma of having a criminal record that has a significant impact on someone’s employability and, as a result, their lifetime earnings. While previous research has discussed the potential effects minimum wages can have on the number of people hired, it has not specifically focused on how minimum wage specifically affects crime and the rate of recidivism. In the Clemson study, the researchers examined nearly six million criminal offenders who were released between 2000 and 2014, as well as more than 200 state and federal minimum wage increases and 21 earned income tax credit programs to ultimately find that recidivism is affected by incremental increases in minimum wages. The study highlights the fact that those who have already served their time are making huge life decisions within thin economic margins, and with criminal records that they can never escape. This means that they are not making a decision between two jobs as much as making a judgment on whether a job or committing crimes can better support them financially. It also highlights the potential effectiveness of increasing EITC benefits as a policy. If you have been convicted of a crime, your record can not only affect your ability to obtain employment, but how much you are paid in terms of the wages you need to support yourself. You have done your time, and you deserve a fresh start. If you have a criminal conviction in New York, contact Levy & Rizzo, LLC, The Clean Slate Attorneys today to find out more.